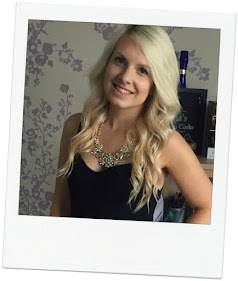 Planning a hen party is a huge task and so often there's more than one hen do - the away hen and the home hen. I had my away hen this month and it was amazing, my bridesmaids put so much work into it and I know all of my bride tribe loved it. One of the parts of hen party planning is the accessories. Everyone was given a goodie bag packed full of hen party keepsakes and accessories to add to the fun. With 11 of us on the trip that can start getting pretty costly so the more affordable the hen supplies the better. That's when AliExpress comes up trumps. 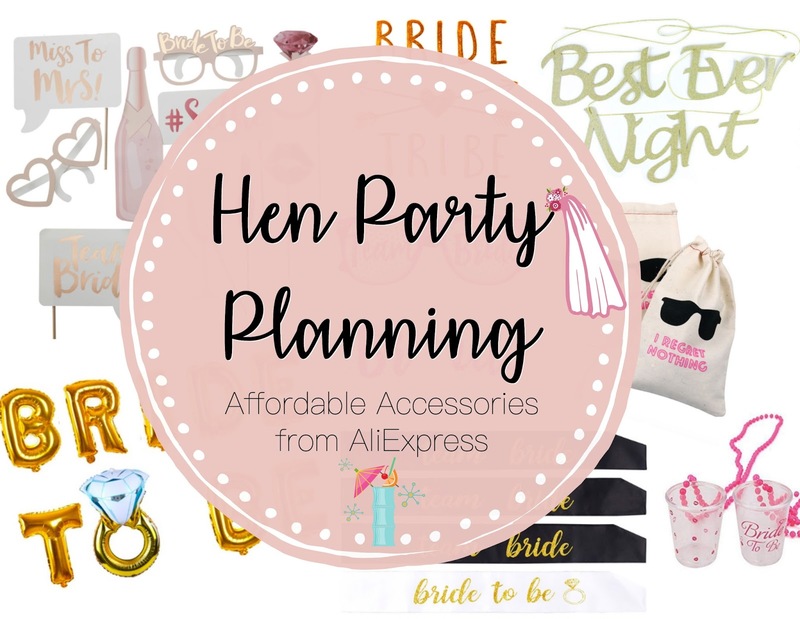 If you're organised (because postage can take a few weeks) you can get your hen party accessories at a cheaper price than the high-street and still have a hen party to be proud of. There's no doubt a hen party will be packed full of photo opportunities so why not add some fun Photo Booth props to mix the snaps up a bit. These could be shared out between guests or kept all together in a dedicated Photo Booth section. We've used Photo Booth frames and backdrops to encourage everyone to pose and remember the occasion. These work brilliantly at both destination hen weekends as well as a party in a hall. There's nothing like an album full of photos to remember the occasion. Whether the hen party is at home or away you can't go wrong with Bride Tribe tattoos to mark exactly who is in Team Bride. We all had tattoos in Portugal and they were so easy to put on and lasted for a couple of days. Something like this that looks good in photos then disappears should be kept cheap and cheerful. Accessories for a hen party don't stop at things to wear it includes decorations and two of my favourite from AliExpress is the Best Night Ever banner and Gold Foil Balloons. These can transform a plain boring room and would be brilliant in a glitter or glam theme. 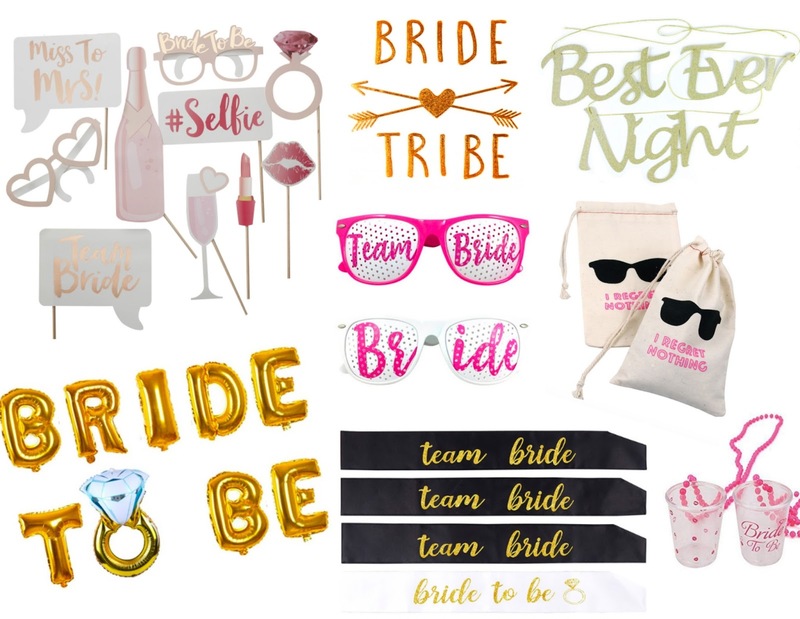 There's some classic accessories for hen parties, like personalised T-shirts, but if you're looking for something a little different then these Team Bride Sunglasses are fantastic. You'll definitely know who's part of the hen party. Speaking of classic accessories and something I think you can never go wrong with is Team Bride Sashes. There's so many different styles to choose from so whatever the theme you're sure to find something that matches. These are brilliant if there's no fancy dress but you want your group to look like a group. I love the colour scheme of these ones. Hen parties and drinking tend to go hand in hand (though they don't have to - afternoon tea, dance classes and spa days are up there with some of the most popular activities) so two brilliant accessories are I Regret Nothing bags and Shot Glass Necklaces. The little goodie bags are similar to the Hangover Kits I made for my hen party but with a slightly different design. These are cool if you're heading abroad and can be stuffed full of all sorts of goodies. We had similar shot glass necklaces in Portugal and they can be used as part of games and drinking but also add to the costume and hen party look.